Farmton is an area of approximately 67,000 acres in southeast Volusia and northern Brevard counties in east central Florida. It lies just west of Interstate 95 and has access to the Indian River Boulevard (SR 442) and Deering Parkway (SR S5A) interchanges. Miami Corporation and its affiliates have owned the majority of the Farmton Tract since the 1920s and have managed the land ever since. The company is the largest private landowner in Volusia County and one of the largest in Brevard County. 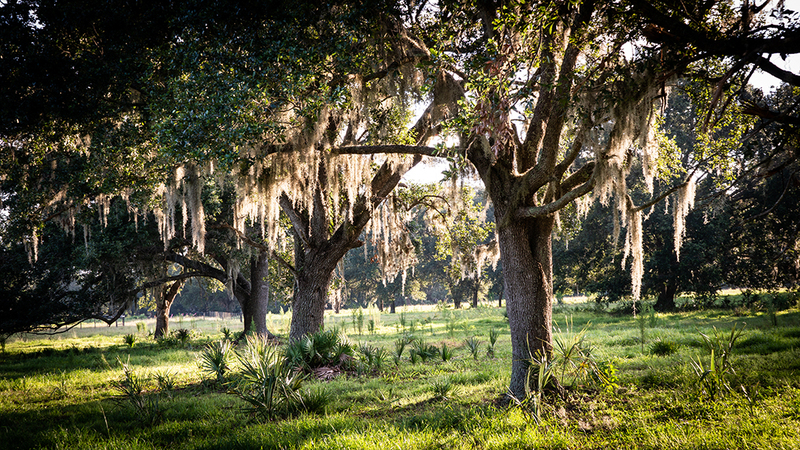 In 2013, after many years of thoughtful planning and public involvement and input, Volusia and Brevard counties adopted the Farmton Local Plan, an innovative, 50-year vision for the property. The creation of the Farmton Local Plan serves as a master plan for the property over the next half-century and beyond. Miami Corporation’s thoughtful, comprehensive and intelligent approach for the long-term viability of the property includes permanent protection of significant natural resources and wildlife corridors that benefit the surrounding community. The Farmton Local Plan will preserve the environmental gems of Farmton as well as provide for continued agriculture, sustainable places for jobs, recreation and living. It has been acknowledged as a model for long term-large scale planning and sustainable development, with nearly 80% of the Farmton Tract to be preserved in perpetuity. An Award-winning Plan. Miami Corporation, Volusia County, and Brevard County have won statewide awards for the Farmton Local Plan’s high standards of planning and its innovative sustainability efforts. Planning Principles and Framework. The planning framework of the Farmton Local Plan is fundamentally different from other large-scale comprehensive plan amendments. Miami Corporation believes the plan is not only a greenprint but a lasting legacy of conservation and intelligent planning that will be valued for generations to come and can be used as a model for others to guide their own planning efforts. The Farmton Local Plan takes a 50-year, vision-based approach to comprehensive planning for the landscape. It eliminates ranchette rural sprawl, antiquated subdivisions, and prevents incremental, haphazard, piece-meal development. Greenprinting. The heart of the Farmton Local Plan is the greenprint – a process that identified up-front approximately two-thirds of the land as "GreenKey." Ultimately, nearly 80% of the land will never be developed and will be conserved forever. Sound science, on-the-ground analysis of the land, and collaboration with leading environmental organizations and agencies helped to identify these “must save places” for future generations. Sustainable Development. Areas identified as suitable for future development will adhere to very high standards for sustainability and will be planned with core values of Smart Growth, Traditional Neighborhood Design, Transit Oriented Development, walkability, green building, and water and energy conservation measures. The Farmton Local Plan ensures that there will be no increase in residential densities in either Brevard or Volusia Counties through the year 2025, with development limited to the Gateway District in Edgewater and to the west along Indian River Boulevard. After 2025, the reserved Sustainable Development Areas along Maytown Road will uphold the same high standards through a master planning process, including provisions for additional open space, infrastructure and fiscal neutrality. Water. There are strict standards for water conservation and water neutrality and a sufficient, sustainable water supply available to exceed future needs of Farmton. Fiscal Neutrality. All infrastructure within Farmton, including roads, water and sewer will be privately funded and will not be paid for by existing County taxpayers. Large-scale Conservation. Farmton’s ecological treasures are of regional and statewide significance. 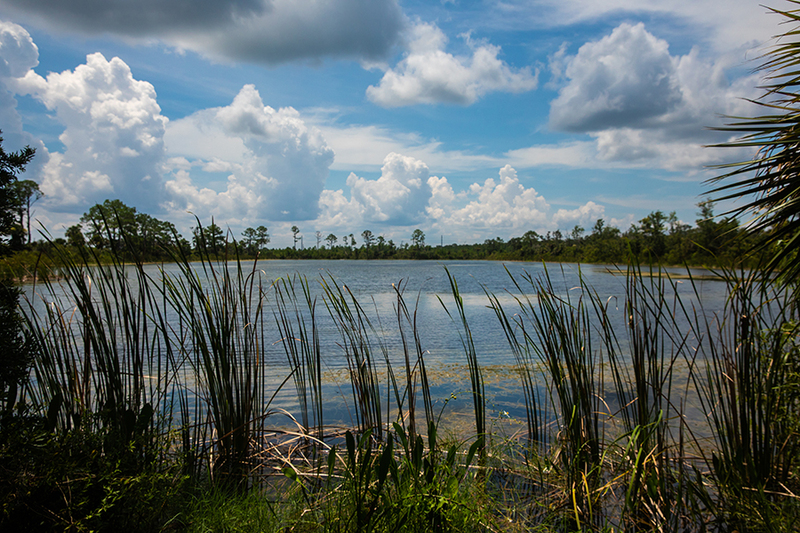 The conservation lands serve as habitat and wildlife corridors for many protected species such as the Florida Black Bear, Bald Eagle, and Swallow-Tailed Kite. In total, Farmton’s land conservation has been planned so that the 46,000 acres will be perpetually protected through conservation easement subject to a conservation management plan with special provisions for protection of imperiled species. Approximately 41,000 acres have already been protected by permanent conservation easements, held jointly by Florida Audubon, Volusia County or Brevard County, and St. Johns River Water Management District will ensure the land will be protected forever. Community Input and Review. The Farmton Local Plan was developed through unprecedented stakeholder collaboration, the purpose of which was to engage individuals representing a broad range of interests – environmental, government, civic, economic, agricultural, recreational and other interests– and invite them to help create the vision and plan for Farmton. The Farmton Local Plan evolved from years of meetings with representatives from state and local government, businesses and environmental groups, and interested citizens that began in 2008. The majority of ideas generated from these workshops were incorporated into the Farmton Local Plan. In addition, the greenprint itself was vetted with The Nature Conservancy, Audubon of Florida, Volusia Forever, and Brevard Environmental and Endangered Lands. For more information about the Farmton Local Plan, including archival documents, click here.